Check wait times at Canadian and U.S. border crossings. Keep advised of weather and driving conditions throughout North America. Let our sales and logistics experts provide you with a detailed proposal. Silver Peak Freight Solutions is a licensed and fully insured truck transportation service specializing in Dry Van, Reefer, FTL, and LTL freight services in Canada, the U.S., and Mexico. Based in Winkler, Manitoba, we offer customized solutions to meet your unique transportation needs. Our services are focused on providing our customers with complete satisfaction on every shipment we handle. • Inbound and Outbound freight. Silver Peak is one of the few Manitoba truck transportation companies that coordinate all shipments throughout Canada, the United States, and Mexico. 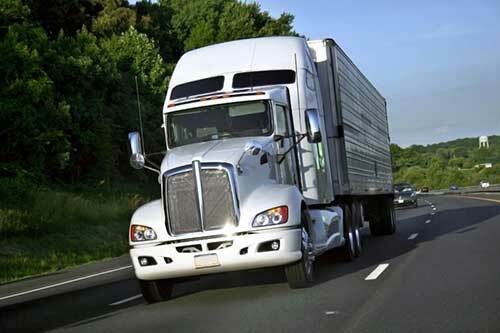 We have a network of reliable carriers that haul cargo of any size, anywhere, within North America. From expedited transportation for your time-sensitive freight, to dry vans and temperature controlled trailers, you can count on us to deliver your freight safely and on time. Contact us for a customized quote to meet your truck transportation needs. that are Flexible, Reliable, and Timely. You could become a part of the Silver Peak Freight Solutions family. Provide us with a few details regarding your shipping needs and we will immediately begin preparing your quote.